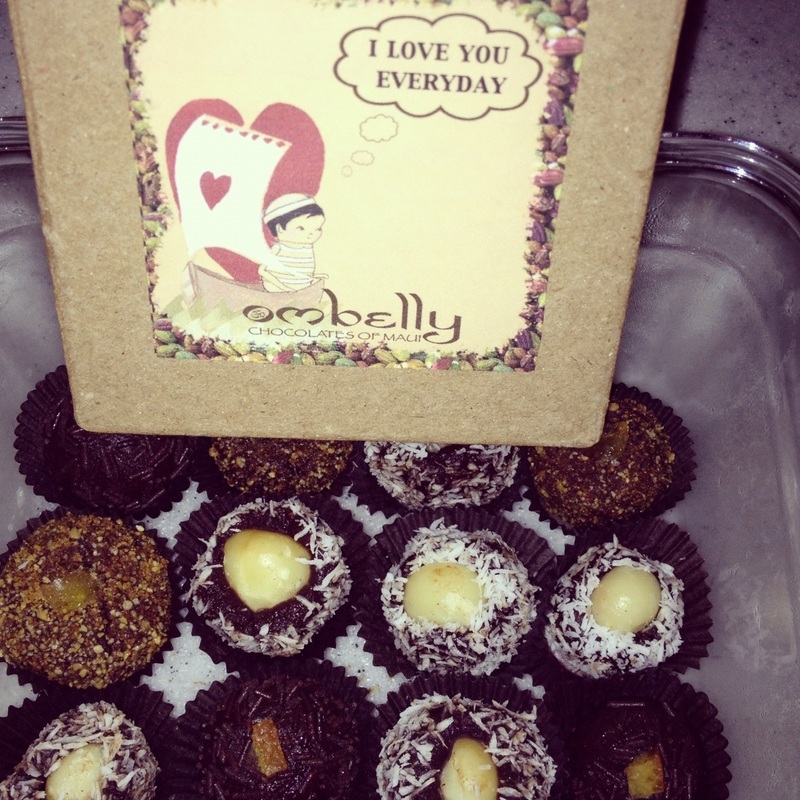 BOX OF 12 DELISHES MACA FILLED MACAROONS. maca, lucuma, almond flour, maple syrup, sea salt, cardamom, aloha drizzled with deep dark raw chocolate fudge. 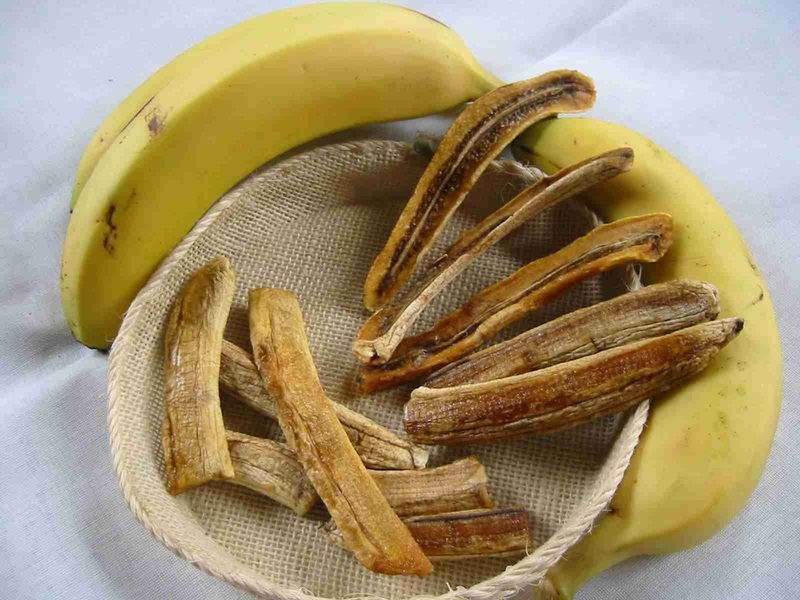 HIGHEST QUALITY MAUI APPLE AND WILLIAMS BANANAS, DEHYDRATED AT 105F. 8OZ. 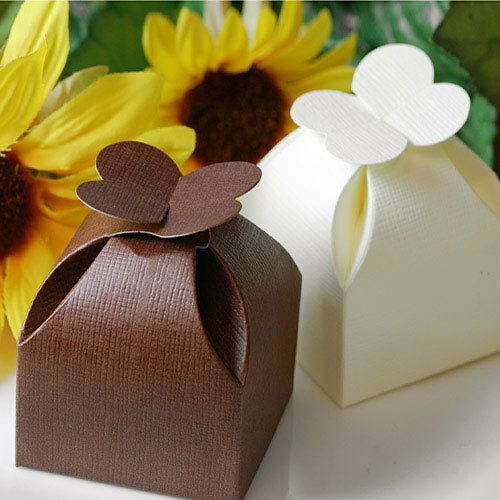 COMPOSTABLE PACKAGE. 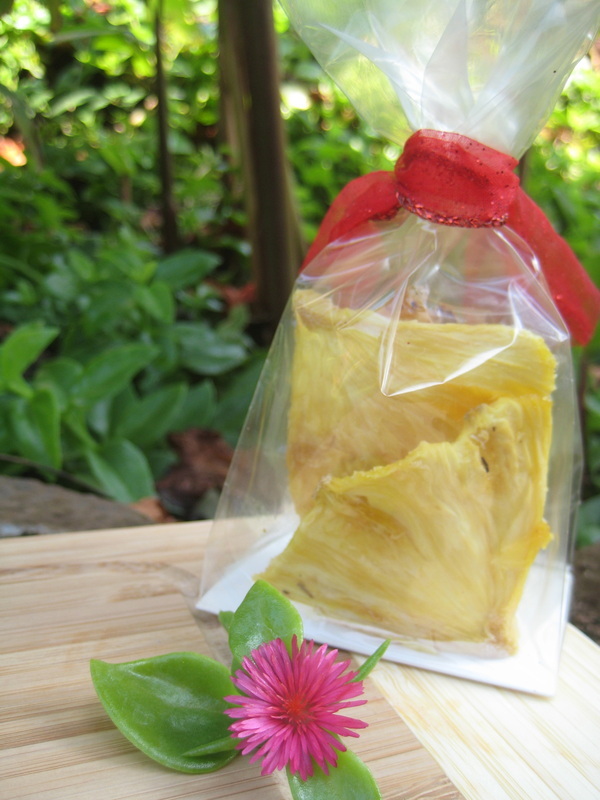 these sweet yummies are true taste of Aloha. great in cereals or as a lil snack. ONE GIANT 4 OUNCE TRUFFLE MAGIC. 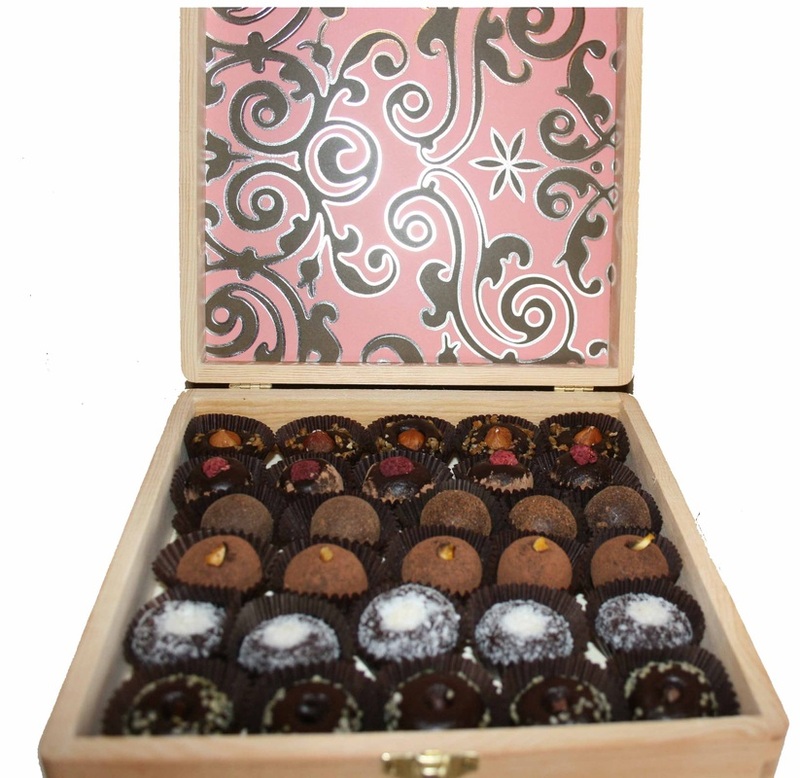 9 RAW ORGANIC HAWAIIAN FLAVOR CHOCOLATE TRUFFLES. please place your order using the shopping cart. 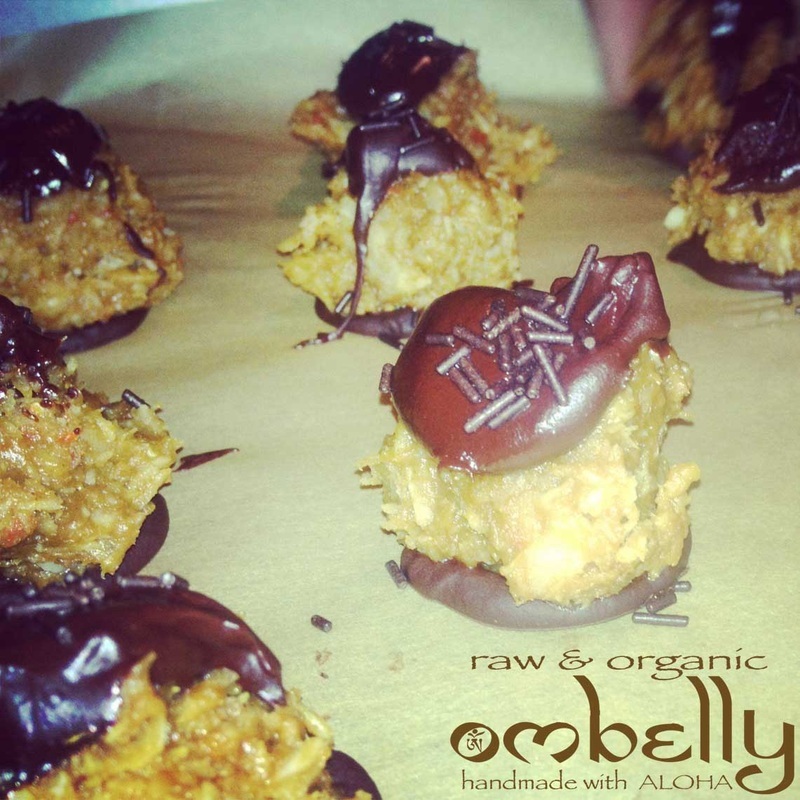 Your raw, organic and seriouslly delicious ombelly treats will be ready three(3) days after your order. 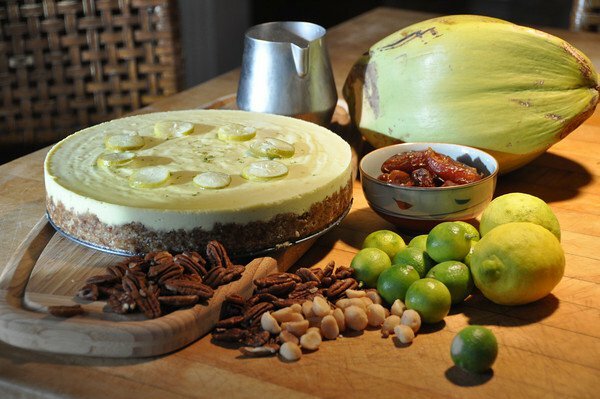 local customers are welcome to pick-up the order from our commercial kitchen in pai'a or we can also deliver. non-maui residents will receive their goodies in the mail within a week. 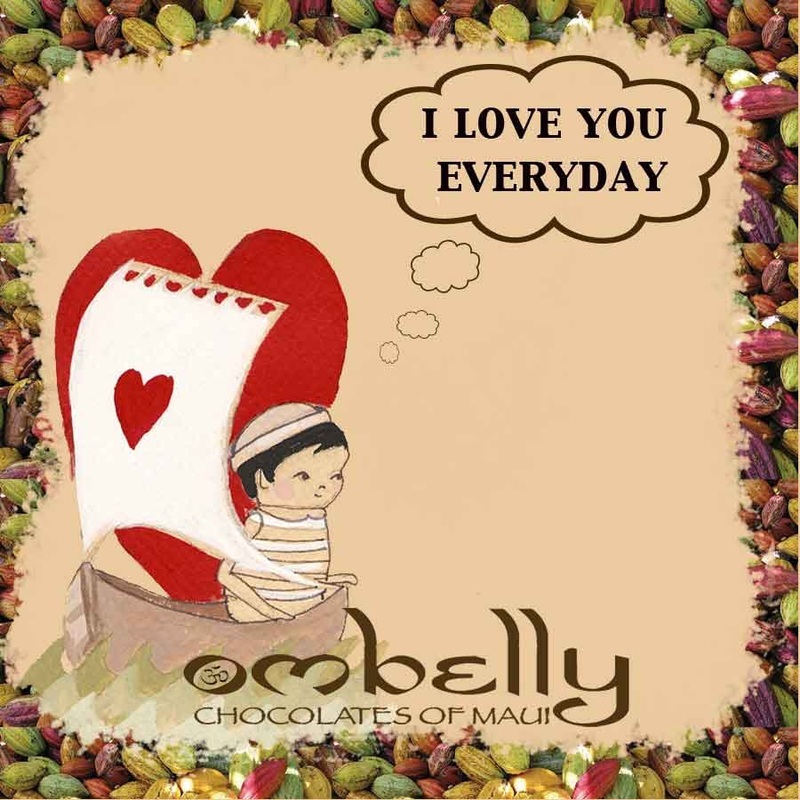 feel free to email us with any special requests: verda@ombelly.com.